This vintage safety Razor is 3 1/2 " long, and has a textured handle. The back has the words Ever - Ready and a patent date of March 24/14. 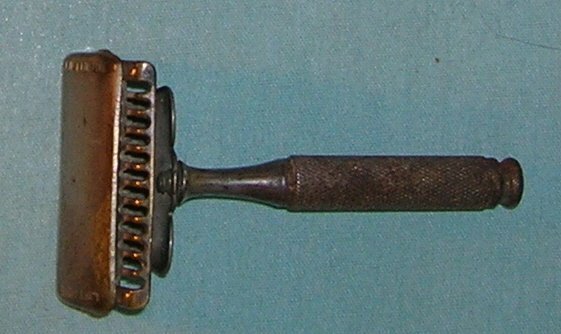 Inside the razor compartment is American Safety Razor Co Inc New York. There are no blade with it, just the razor. In good used condition.